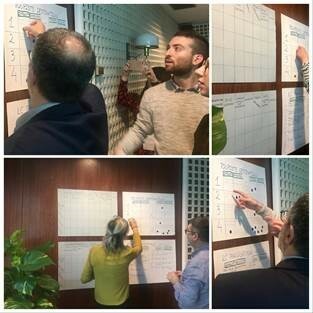 The Interreg MED Urban Transport community gathered in Barcelona on 12-13 November 2018 for its Mid-Term Conference on “Mobility challenges in urban and metropolitan areas”. The event was co-organised by the GO SUMP Project (Interreg MED horizontal project on Urban Transport) – in which the CPMR’s Intermediterranean Commission (IMC) is an associated partner and the SMART- MR Project (Interreg Europe). The Mid-Term Conference brought together all the modular projects from the Urban Transport Community along with two other community thematics from the Priority Axis 2 – Low Carbon Economy:the Efficient Buildings and Renewable Energy Communities. This included the following projects working for sustainable urban mobility: SMART – MR, SUMPORT, EnerNETMob, MOBILITAS, LOCATIONS, REMEDIO and MOTIVATE. 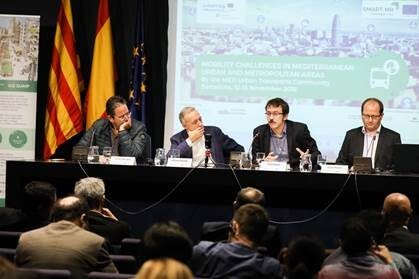 The meeting, hosted by Medcities and the Area Metropolitana de Barcelona, involved the presentation of the ongoing results of all modular projects, broken down into four key issues on urban transport and mobility: Sustainable Mobility, Nodes and high-density areas, Tourist destinations and Participatory Processes. Most importantly, it was a great opportunity for the projects to meet with experts from urban transports sector and strategic institutions to explore new synergies, share best practices and innovative ideas, and consolidate their contribution to the regulatory framework. Participants were also able to share political approaches and advocate the improvement of the urban transport sector in the Mediterranean area through workshops on the four key issues on urban transports, as well as ICT and Electromobility and Low Carbon Transport Modes-Services. By working together, highlighting the projects effective impacts (e.g. reduction of GHG, car use, pollution, etc.) and easiness to replicate, useful recommendations were found to facilitate their implementation at EU, national, regional and local levels. 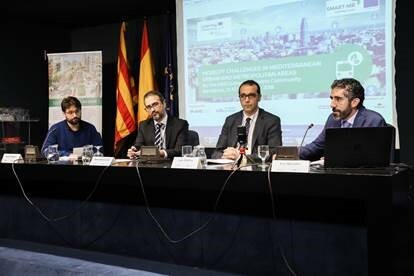 The second day of the Conference took place at the Smart City Expo World Congress, focusing on smart solutions for low carbon mobility in metropolitan areas. The CPMR-IMC took part in the event in Barcelona with the aim of boosting future exchange of best practices between its regions and exploring ways of collaborating within its Task Force on ‘Transport and Integrated Maritime Policy. Created in Andalusia in 1990 to express the shared interests of Mediterranean Regions in important European negotiations, the CPMR Intermediterranean Commission (IMC) encompasses the issues raised in all the Regions bordering the Mediterranean Sea.